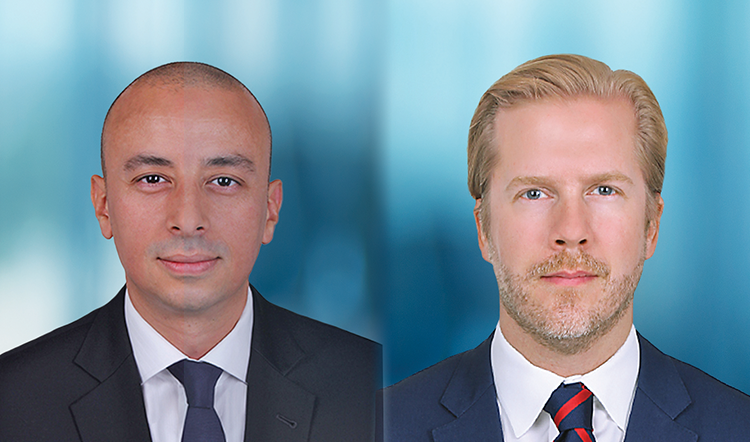 AGF speaks with Ahmed Awny (left), Senior Executive Director and Portfolio Manager, Franklin Templeton Emerging Markets Equity (FTEME) and David Haglund (right), Senior Executive Director and Portfolio Manager, FTEME, about the FTIF Templeton Frontier Markets Fund and its African investments. Anna Lyudvig (AL): As of February 28, the FTIF Templeton Frontier Markets Fund’s allocation to Africa was 12.59%. In which African countries do you invest? Ahmed Awny and David Haglund (AA & DH): Our weight is closer to 20% if we include North African countries. Our key markets by geography are Kenya, Nigeria, Egypt and Senegal. AL: What are your top holdings in Africa and why? AA & DH: Key exposures are in the banking, telecom and consumer sectors. Banking penetration remains very low in Africa and is a natural beneficiary of growth in many African markets. Local established banks have access to a growing pool of low-cost deposits and are able to lend to established quality local and multi-national corporates. In certain markets like Kenya SME banking is prominent and has been a driver of GDP growth at a more granular level allowing small businesses access to capital they might never have been able to otherwise. Quality banks in Nigeria and Kenya are earning some of the highest spreads globally with relatively good asset quality profiles. Investing in banks also provides an indirect exposure to large parts of the economy which might be not present in the domestic stock exchanges. Telecom companies are igniting technology leap frogging through mobile telecommunications that is facilitating business through mobile payments and financial inclusion to mass market and rural populations. The telecom companies are entering into partnerships with banks that allow mobile customers to have a bank account and transact digitally. In so doing Telecom operators have added a new income stream, banks have increased their customer base as well as reduced their brick and mortar cost bases whilst consumers benefit from a cheaper and more convenient transaction experience. Although Safaricom in Kenya pioneered mobile payments and related services we are now seeing this being replicated in other parts of Africa by other operators. Consumer focused subsidiaries of multinationals and local companies are tailoring their product portfolios to local needs given the growing sizes of domestic populations with rising incomes. For example, foods, personal, home care and brewing companies are seeing opportunities to increase penetration in underserved markets. Many of these companies are doing so by moving the consumer into the organized retail space in with a low cost and tailored product offering to substitute for imports. These companies are also actively working on localizing their inputs to better currency match their revenues earned against their cost of goods sold. At the same time, we see signs of premiumization with the increased wealth seen in African markets. AL: Are you planning to increase/decrease your exposure to Africa in the near term? AA & DH: Our investment process is bottom-up driven, and we are constantly looking to add exposure to high-quality names, with sustainable earnings that are trading at a discount to their intrinsic value. AL: What’s your outlook for the African stock markets? AA & DH: We remain constructive on a long-term basis. Investments in Africa and other Frontier markets is centered around : (1) expectations for robust economic growth, (2) continued macroeconomic development, supported by the ongoing reform agenda and population growth, (3) the valuation discount it trades on compared with historical levels and relative to global and emerging-market equities, and (4) the lower correlation opportunity, as African and Frontier markets tend to be more influenced by local market growth drivers rather than global macroeconomic developments. The investment case for Africa remains the same. Economic growth is expected to remain in mid-single digit rate in the short-term. Political reforms are slow but moving in the right direction. With a large, young and fast-growing population, demographics will be a key underlying driver for growth in Africa. There are signs of increasing investments in infrastructure, education, agriculture and manufacturing. Efforts to diversify economies continues albeit at a slower pace than we would like. Rising incomes and increasing urbanization is creating a scale of consumer not seen before in Africa. The formalization of economies and businesses will drive economic development and revenue growth further. Inflation is expected to decrease slightly this coming year and currencies are expected to depreciate slightly going forward. We remain hopeful to see an increased number of privatizations and IPO’s in the coming years. With the size of stock markets and economies growing this is likely to result in increased interest from the wider international investment community which will support stock market performance.